considering a short sale. The top five Short Sale questions I am asked often. 1. How does a short sale effect my credit ? Depending on how your Short Sale is negotiated with your lender it could have a smaller impact then not paying your mortgage and going into foreclosure. 2. Why is a Short Sale better then a Foreclosure ? Selecting to do a Short Sale you avoid the foreclosure stigma on your credit, and you may be able to purchase again in 2-3 years oppose to the 7 years with a foreclosure. 3. My foreclosure date is 2 weeks away, can I do a short sale ? Depending on the lender, you will need to submit a complete Short Sale packet and also your Realtor will need to send in a packet without this, they will not postpone. Some lenders will need a purchase contract to postpone the Sales date. 4. What are the tax consequences in doing a short sale ? You should always check with your tax person . The mortgage debt forgiveness act 2007 has positive tax consequences for those who participate in the Short Sale with owner occupied homes, again consult with your tax person. 5. I am current on my mortgage can I do a short sale ? In most case the answer would be Yes, if you can prove to the lender you have a hardship. 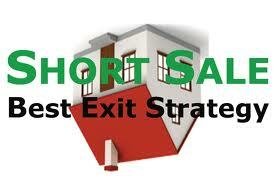 I hope my blog was able to shed some light on the Short Sale process. Documents you may need to start the short sale process, depending on the type of loan you may be able to start the process with fewer documentation to no documentation. I will start the process to verify with the lender if you would be eligible for the less documentation route for the short sale. 1. Hardship letter- Explanation of the hardship with signatures on the letter. Letter should be short and to the point. 5. Financial worksheet- Worksheet I can provide to you, that your lender will want to see. 6. 4506-T- I can provide this to you. HAFA program I can provide the addtional documents you will need to get started. Work with a Realtor who can help you with the short sale process on the required lender documents. I have most lenders short sale packet and will be happy to email you a packet to get started today! Why, what, and how to write a hardship letter to you lender. I will give you some key points on what your lender is looking for and what qualifies for a hardship with your lender. I will also give you an idea on how to structure your hardship letter, keep in mind the person who will be reading your hardship letter is the person who is overworked and they have just read perhaps 300 hardships letters and your letter will be hardship letter 301. So keep it short and simple and to the point. Go from A to C and cut out B. Don't write a novel, one page will do and even a 1/2 page is even better. Below is example of hardship letter, also don't forget to contact me as your Realtor to assist you in the short sale process. There is no cost to you during the short sale process. Always have your Name and property address with the loan number and date in the upper left hand corner of the hardship letter. I am writing to you to explain the hardship that has occured to us and to explain the reason on how we got behind in our mortgage payment. We have tried to maintain the payments and have exhausted all resources. The main reason we are behind is (insert reason ) We have tried to maintain the payments, but our current income is not enough to continue and we are asking for a short sale as an option in helping us rather then being foreclosed on and we are trying to perserve our credit. It is our hope that lender (insert bank name) will honor our request in doing a short sale. Foreclosure is the most challenging issue against a security clearance outside of a conviction of a serious misdemeanor or felony. If a client has a foreclosure and is a police officer, in the military, in the CIA, Security, or any other position that requires a security clearance in almost all cases clearance will berevoked and position will be terminated. In 100% of foreclosures(except in those states where there is no deficiency) the bank has the right to pursue a deficiency judgment. In some successful short sales it is possible to convince the lender togive up the right to pursuit a deficiency judgment against the homeowner. What you are going through you are not alone. This can be a frightening or confussing experience to go through and most of the time it is out of a persons control of being unable to make the mortgage payments. It may be due to reduced work hours or a medical situation or a relationship that has changed. What ever the case may be, please do not feel alone in your struggles. You are not the lone ranger in this at all ! with your lender, options are available. to give you options on your loan modification. Just know I am here to help YOU ! In Texas, thelenders can also go to court in what is known as ajudicial foreclosure proceeding where the court must issue a final judgment of foreclosure. 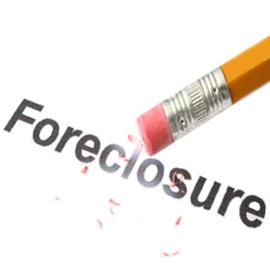 If the deed of trust does not contain thepower of sale language the lender must seek judicial foreclosure. The property is then sold as part of a publicly noticed sale. A complaint is filed in county court along with what is known alis pendens. A lis pendens is a recorded document that provides public notice that the property is being foreclosed upon. The documents are known as thedeed of trust,note, and in a commercial transaction, asecurity agreement. Sometimes the mortgage document is combined with the security agreement. Alternatively, amortgage is filed to evidence the underlying debt and terms of repayment, which is set forth in thenote. Depending on the timing of the various required notices, it usually takes approximately 60 days to effectuate an uncontestednon-judicial foreclosure. This process may be delayed if the borrower contests the action in court, seeks delays and adjournments of sales, or files forbankruptcy. *Lender workout may consist of the following, check with your lender. If the above you are not able to work with the lender, you have an option of Short Sale, you will need to have a Realtor list your home and who may also negotiate the process with your lender. The short sale will not be a major impact on your credit, like a foreclosure would. In most cases I am able to work out a relocation package with your lender, this would be a monetary amount your lender would give to you, to assist you in your relocation. Never take a foreclosure HIT ! I am available by text, email, and by phone. Main question most homeowners ask when doing a short sale is " Will I get taxed?" Making home affordable and home affordable foreclosure alternative better known as HAFA for Short Sale. 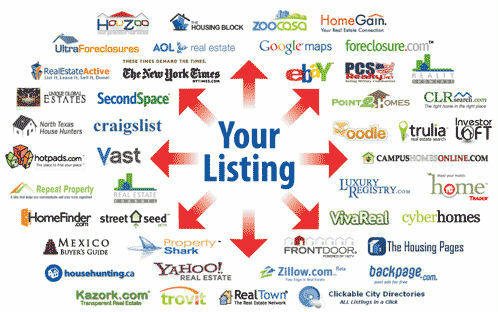 I am Houston Short Sale Agent who is Certified to work with distressed home homeowners. Before you consider the HAFA program, you must try to do a loan modification, and if you are denied the loan modification, then at this point you only have two alternatives, one is a foreclosure, or the second is the short sale through the HAFA program. If you decided the short sale process, it is less of a hit on your credit, and also through this program, the lender will assist you with relocation funds, at time of closing. There is no deficiency judgements in most cases. I have provided a link to the HUD approved housing counselors. You may also contact me with any questions you may have via text,email, or by phone. If you need to go the short sale route, I will be able to list and negotiate with your lender and get you a short sale approval. Keep in mind work with a professional, and get professional results. Work with an amateur and get amateur results... you decide. For a private confidential consultation fill out this form.